Most of us would love to have our jobs done as soon as possible especially when it comes to publishing works. Have you ever wondered how to make yourself a nice business card for your own business but then don’t have the knowledge to use applications such as CorelDraw? Are you having a hard time learning editing? Fret not. Publisher Plus is here to solve your problems. 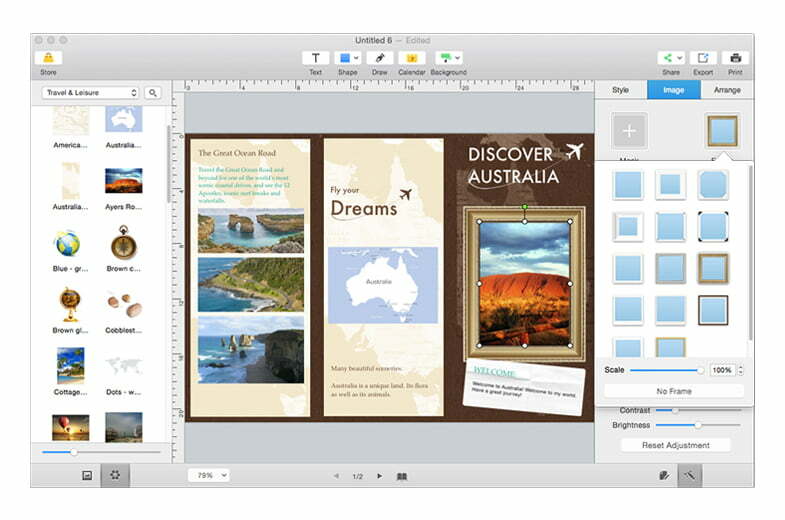 However, this application is only available for Mac platform. 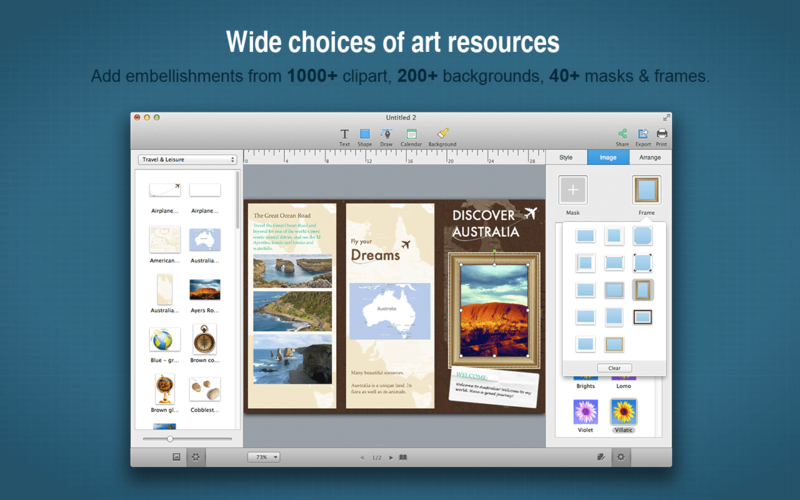 Publisher Plus is available to be downloaded from the Mac App Store (Graphics & Design category). This application requires OS X 10.6.8 or later. One thing that I like about this thing is it shows a few sample templates on start-up screen in which it makes my works easier without having to find button to load the existing templates. 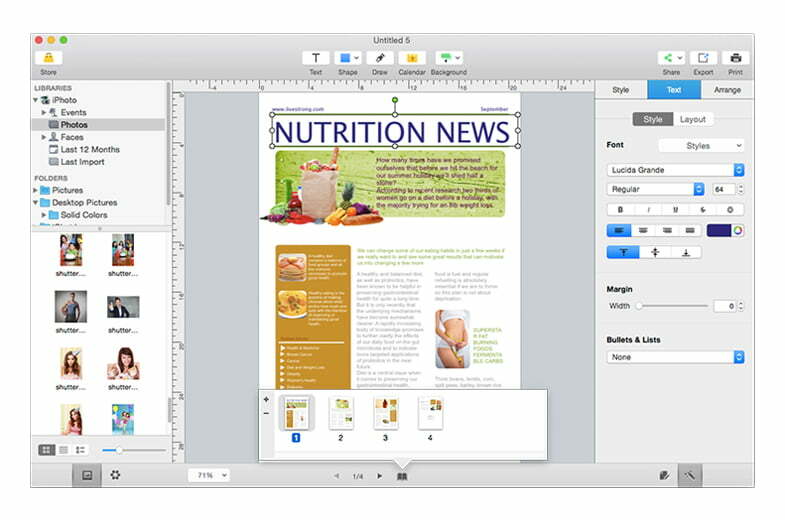 There are a few professional templates made available and they are all put into each groups such as brochures, catalogs, posters, newsletter, business cards, and so on. 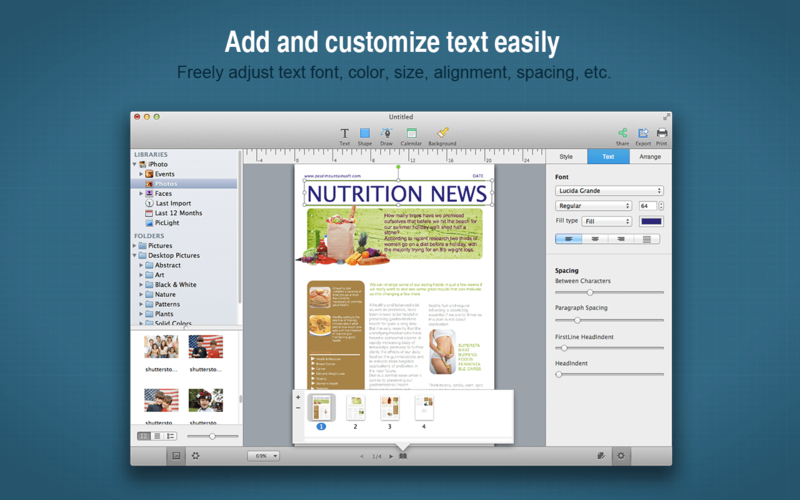 There are a few areas for editing documents: Text, Shape, Calendar, Background, and Draw. The best thing is it also has sharing options where you can share on social networks such as Twitter, Facebook, and Flickr. I’m not going to explain more all those technical things as I would love to have it from the perspective of end-users. The best thing about this application is it can save more of my time to do things such as business cards. I no longer have to find template on the Internet, and then have it edited using Illustrator or CorelDraw. In short, I find this application is very useful, fun, and does the job it sets out to do very well. The only drawback is… It doesn’t support other platforms other than Mac. You might be interested to check the tutorials, too!